With several saltwater and freshwater fishing spots, Hilton Head Island is every fisherman’s paradise! If you’re one of the many vacationers who finds nothing more relaxing than grabbing a fishing pole and casting the line from a quiet and cozy spot by the water, you’ve come to the right place. 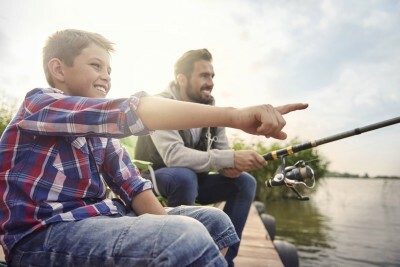 Here are some of our personal favorite Hilton Head Island fishing spots that are perfect for avid fishermen, beginners, and families searching for a fun activity to enjoy together. If you’re planning an island fishing getaway, you won’t want to be without our free Hilton Head Vacation Guide! When you request our guide, you’ll instantly receive a full list of the best local activities, including even more Hilton Head Island fishing spots! The creeks and streams on this quiet island are always perfect for public fishing in Hilton Head. It’s prime location also gives you easy access to the Intracoastal Waterway, which is where saltwater fish tend to group. The available fishing dock, restrooms, and surplus of things to do also make Daufuskie Island the perfect day-trip for your family vacation. 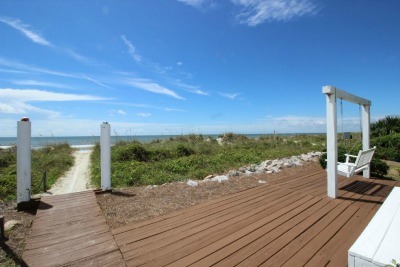 Saltwater fishing is permitted year-round on Pinckney Island. The most popular fishing spot is the C.C. Haigh Landing, located at the south-end of the island. The fishing programs offered here promote understanding and appreciation of natural resources, so don’t forget to bring your pole and become immersed in the island’s natural beauty. This peaceful inland lagoon is fully stocked with plenty of fish, the most popular being redfish! Visitors are welcome to any of the Palmetto Dunes Lagoon fishing locations. For those of you who would usually scoff at the idea of lagoon fishing, think again! Many fishermen find success at this location, some of which claim to get a bite within the first 10 minutes. People also come here to enjoy the lagoon’s peaceful and serene setting. For plentiful bass fishing, Jarvis Creek Park fishing is the way to go! The 53-acre park boasts plenty of opportunities for outdoor recreation including lakeside jogging, yoga in the fields, and picnicking. The family-friendly fishing dock is the perfect spot to teach the kids how to fish and reel in largemouth bass. The Charles C. Haigh Fishing Pier provides visitors with as close to a deep saltwater fishing experience as they’re going to get without boarding a boat. The pier is populated by anglers all year-round and is a great spot for spending a few hours in the sun. The best part? It’s absolutely free!